Cessna Aircraft Company, a Textron Inc. company (NYSE: TXT), announced today the Grand Caravan EX has earned FAA Type Certification and has outperformed initial targets. Powered by the new Pratt & Whitney Canada PT6A-140 engine, today's Grand Caravan EX boasts a 38 percent improvement in the rate of climb of the Grand Caravan, a figure which exceeds the original 20 percent improvement projection. "When we started with this design, we knew we could push the performance envelope on the Grand Caravan EX and get it into service for our customers in 'high and hot' missions, but the performance we've realized through the certification process with the new Pratt & Whitney Canada PT6A-140 engine has truly exceeded our already aggressive performance targets," said Lannie O'Bannion, Cessna business leader for the Caravan. With the first deliveries of the airplane already underway, customers are experiencing the Grand Caravan EX benefits first-hand. "Thanks to the ingenuity of our team and partners, today's announcement further demonstrates that the Cessna Grand Caravan EX can work or play in almost any theater, region or topography in the world," O'Bannion said. "This is the sport utility aircraft for practically any mission the customer might have in mind, business or recreation." The EX is the latest example of Cessna's efforts to bring new products to customers. Six new or upgraded Cessna models, including the EX, will deliver during 2013 giving customers more choices for optimal range, performance and value. Cessna Aircraft Company, a Textron Inc. (NYSE: TXT) company, today announced that the Citation M2 has commenced its initial production run in the company's Independence, Kansas facility. The front and aft cabin assemblies for the light business jet are built at Cessna's Wichita, Kansas facility and are then transported to Independence for final assembly and delivery. Unit 800 is slated for demonstrator purposes, and is expected to roll off the assembly line this April. Lily English, General Manager of Cessna's Independence Plant, says the production start is a rewarding moment that possesses its own challenges and benefits. "It's great to see production begin, and see a product take shape. The team members are ready, and they're thrilled to be a part of bringing the M2 to customers." The much-anticipated business jet is on track for certification in the second quarter of 2013. "The M2 looks to be a fantastic product for the market in the light business jet category," said Brian Rohloff, business leader for the M2. "We asked our customers what they wanted, and we worked their requests into the M2 design. The outstanding customer response is proof that this aircraft delivers on their needs for mission scope, performance and finishes. Designing and manufacturing products based on customer use and needs is at the heart of Cessna's legacy and is what has shaped the company's aviation pride through the years." The M2 features the Garmin G3000 avionics suite, offering design commonalities with the larger jets in the Citation family such as the Citation Sovereign and Citation X. "The M2 has space for six passengers and a private lavatory, features that many of our Mustang customers said they wanted in their next jet," said Rohloff. "The M2 is faster than many comparable airplanes, has a faster climb rate, and has strong value at the entry segment." Other Cessna aircraft expected to hit the market in 2013 include the new Citation X, the world's fastest civil aircraft at Mach .935, the new Citation Sovereign, the Jet-A fueled Turbo Skylane JT-A, the TTx, and the Grand Caravan EX. The US Dept. of Transportation and FAA are to conduct a full review of the Boeing 787 critical system, including the aircraft’s design, manufacture and assembly. El primer ejemplar del nuevo avión ejecutivo Cessna Citation M2 ha empezado su montaje coincidiendo con la certificación del nuevo motor Pratt & Whitney Canada PT6A-140 para el Grand Caravan. Y es que el martes, 15 de enero, concluye el plazo dado por la ESA para que España ratifique o abandone sus compromisos financieros con los programas opcionales aprobados en la cumbre ministerial celebrada en Nápoles (Italia) los días 20 y 21 de noviembre de 2012. 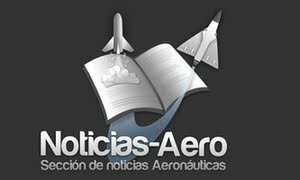 Aeronáuticos de la UPM proponen un sistema ferroviario más eficiente: Inv, investigadores de la Universidad Politécnica de Madrid proponen aunar la planificación de los horarios y el material rodante disponible, ya que un nuevo modelo de planificación integrada permite un mejor ajuste de estos flujos a la demanda de pasajeros donde se reajusten las frecuencias. Currently, CFM International leads in this market with an exclusive presence on Boeing 737MAX and Comac C919. On the other hand, Pratt & Whitney has an exclusive presence on Bombardier CSeries, Mitsubishi Regional Jet and now Embraer E-jets G2. Sandia Labs develops new UAV to identify origins of nuclear bomb: Sandia National Laboratories has developed and demonstrated a new unmanned aerial vehicle (UAV), Harvester, designed to rapidly collect airborne radioactive particles for analysing the origins of nuclear bombs for the US Air Force. Moscow, January 14. JSC Sukhoi Company completed all the stages of merger of three subsidiaries – JSC Sukhoi Design Bureau, JSC Y.A.Gagarin KnAAPO and JSC V.P.Chkalov NAPO and received a notice of termination as from January 1, 2013 of the listed companies as separate legal entities. The structure of a single legal entity – Sukhoi Company - now includes as affiliates – V.P.Chkalov Novosibirsk Aircraft Plant, Y.A.Gagarin Komsomolsk-on-Amur Aircraft Plant, Sukhoi Design Bureau as well as representative offices in the Republic of India, Vietnam and China. Consolidation of business and transition to design and functional organizational management structure of a single legal entity ensures a long-term strategic development of Sukhoi Company. Creation of a single legal entity will allow formation of a complete vertically integrated company, streamlining corporate structure to increase efficiency, creation of a single decision-making center of operational activities. Centralized management of investment decisions will maximize return on investments; the quality of corporate governance will improve. The costs will reduce due to diminishing of the transaction costs between the structural units of the Company; the size of the company will optimize. The domestic production cooperation will actively develop, the efficiency of interaction with subcontractors will increase, which will favorably affect the cost of production and the timing of orders for production and delivery of aircraft. The implementation of high technology, long-term R & D in the field of military and civil aviation will be more effective. Creation of a single Sukhoi Company will give a new global impetus to the development of not only its production capacity, but also the Russian aerospace industry as a whole. It will allow domestic military and civil aircraft to take its rightful place in the global market. The United Aircraft Corporation will receive a single performer across the range of products and services that will greatly improve the planning and implementation of the State Defense Order and civil aircraft production. The Lockheed Martin [NYSE: LMT] F-35 Lightning II Program completed 30 aircraft deliveries and achieved significant advances in flight test highlighting a year of continued progress for 2012. The 30 F-35 deliveries in 2012 included 11 Conventional Takeoff and Landing (CTOLs), 18 Short Takeoff/Vertical Landing (STOVL) variants, and one Carrier Variant (CV). Two of the STOVLs were the program’s first two international jets, which were delivered to the United Kingdom. All but the carrier variant, known as CF-5, were production aircraft delivered to various bases for operational purposes. CF-5 was built for flight testing and delivered to the System Development and Demonstration (SDD) program. The 30 aircraft delivered in 2012 is more than double the 13 aircraft delivered in 2011. The 2012 flight test plan called for 988 flights and 8,458 test points by Dec. 31. For the year, the SDD program flew 1,167 flights and tallied 9,319 test points. The F-35A Flight Science test aircraft flew 291 flights and accomplished 2,573 test points. The F-35B Flight Science test aircraft accomplished 396 flights and 2,443 test points. The F-35C flew 239 flights and tallied 2,247 test points. The Mission Systems test aircraft accomplished 241 flights and 2,056 test points. The F-35B also executed 102 vertical landings. The cumulative 2012 milestones were achieved through a combination of planned test flights and test points, along with test flights and test points added throughout the year. The flight test program is now more than one third complete in aggregate with the Air Force’s F-35A variant leading the way with 43 percent complete. · U.S. Secretary of Defense Leon Panetta announced the end of probation for the F-35B STOVL, nearly one year ahead of schedule. · The first two international F-35s were delivered to the United Kingdom. · The first three operational F-35B STOVL fighters delivered in November marked the beginning of tactical operational training at Marine Corps Air Station Yuma, Ariz.
· 33rd Fighter Wing at Eglin Air Force Base, Fla., completed its Operational Utility Evaluation (OUE) and Air Education and Training Command (AETC) officials announced that the wing is ready for pilot training in 2013. The wing flew more than 700 sorties in 2012. · Norway procured its first F-35 commencing the largest public procurement project in its history. The event was marked by Minister of Defence Espen Barth Eide authorizing the order for the first F-35A for the Norwegian Armed Forces. · Luke AFB was selected for F-35A U.S. and international pilot training. 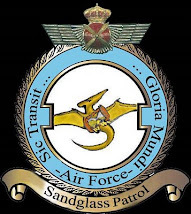 The base will receive 72 aircraft for three fighter squadrons. · Major flight test accomplishments included the first aerial weapons release for the CTOL and STOVL; the F-35A reached maximum high-angle-of-attack milestone in four flights; the first night flight and night refueling missions were accomplished and both the CTOL and STOVL completed air-start testing. · F-35 program surpassed 5,000 flight hours. WEST JORDAN, Utah, Jan. 11, 2013 /PRNewswire/ -- Boeing (NYSE: BA) today announced the purchase of a new building in Salt Lake County, Utah. Employees at the new site, located in West Jordan, will focus on fabrication of composite horizontal stabilizer components for the 787-9. "The site we've chosen is an ideal location to add composite manufacturing capability focused on Boeing's key business strategies," said Ross R. Bogue, vice president and general manager of Boeing Fabrication. "This new facility will provide a real competitive advantage in our supply chain by expanding our internal composite capabilities." The new site, located 20 miles from Boeing's fabrication and assembly site in Salt Lake City, was purchased from Masco (NYSE: MAS). Terms of the sale were not disclosed. The close proximity of the two facilities will help improve the efficiency from component fabrication to assembly of the 787-9 horizontal stabilizer. The composite component fabrication facility is expected to create approximately 100 new jobs. "Hiring will begin immediately," said Craig Trewet, director of Boeing Salt Lake. "We'll begin by hiring project managers and engineers and will then be filling production positions over the next several quarters." Boeing expects to refurbish the 850,000 square foot building to complement the company's current operations in Salt Lake County. Sitts & Hill will design the space inside the building's factory area. Design and construction are expected to take two years. When finalized, the facility will provide the Boeing Salt Lake team with the flexibility to meet the demands of the highly competitive markets that Boeing serves. This further demonstrates Boeing's commitment to the state of Utah and to the company's current and future workforce. "Boeing appreciates its continued relationship with the state of Utah and we are looking forward to creating a new partnership with the city of West Jordan," Trewet said. The EURO HAWK® system previously completed extensive ground testing at Manching Air Base, receiving final approval to flight test the functionalities of the integrated SIGINT payload from the German Airworthiness Authority. With a wingspan larger than most commercial airliners, endurance of more than 30 hours and a maximum altitude of approximately 60,000 feet, EURO HAWK® is an interoperable, modular and cost-effective replacement to the fleet of manned Breguet Atlantic aircraft which was in service since 1972 and retired in 2010. EuroHawk GmbH, a 50-50 joint venture of Northrop Grumman and Cassidian, serves as the national prime contractor for the German Ministry of Defence through the system’s entire lifecycle. Please visit www.eurohawk.de for more information. The military use of radar has always had a yin-yang dynamic – as new forms of radar are developed, so too are new ways to jam them. A team of physicists at the University of Rochester has discovered how to defeat the latest active radar jamming methods by taking advantage of the quantum properties of photons. While this new anti-jamming technology cannot remove the false information, it provides an immediate alert that false information is being received. Moscú.- El sector espacial ruso doblará en el año 2020 su producción respecto a 2011, según Roscosmos, mientras que su porcentaje en la industria aeroespacial mundial aumentará del 10,7% actual al 16%, tal y como se desprende del programa estatal de desarrollo del sector hasta dentro de siete años.